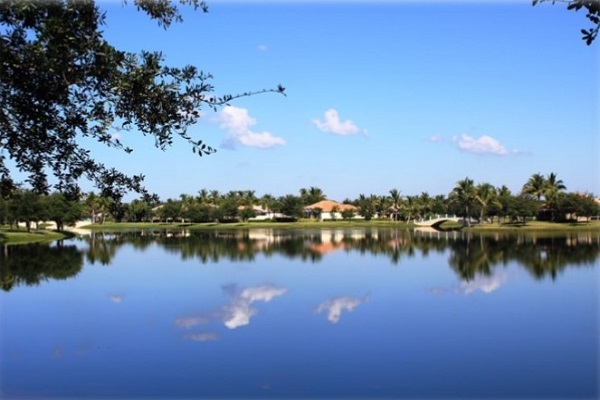 Island Walk is a master planned gated community located in Prestigious North Naples just off Vanderbilt Beach Road and east of I-75. After coming over the scenic bridge and through the guard gate, you will find beautiful residences, all set on lush tropical landscaped streets. 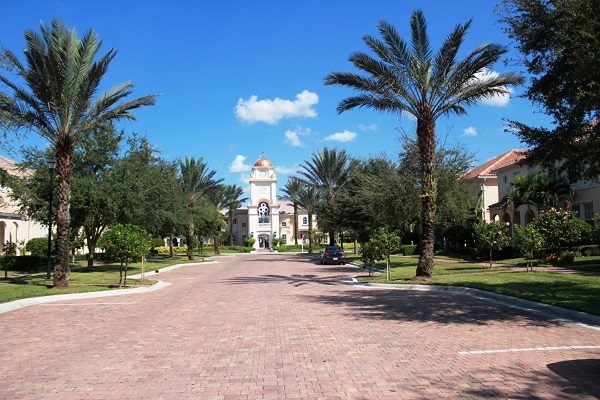 Island Walk consists of 1856 spacious single family homes, attached villas and two story town homes. Most are on one of the many finger-lakes and boast spectacular views of the waterways, walks and bridges. Developed by DiVosta between 1998 and 2004, they are built to last and feature poured concrete construction. The single family homes range from 1,983 to 2,721 square feet with three bedrooms plus a den to four bedrooms and a two car garage. The villas range from 1,582 to 1,685 square feet with two bedrooms plus a den and a two car garage. The town homes range from 1,559 to 1,841 square feet with three bedrooms and a one car attached garage. Within walking distance of every home is the multi-million dollar town center, which features a large state of the art fitness center, card room, and multi-purpose room with kitchen for catering. It even has its own post office, beauty parlor, nail salon, gas station and car wash. 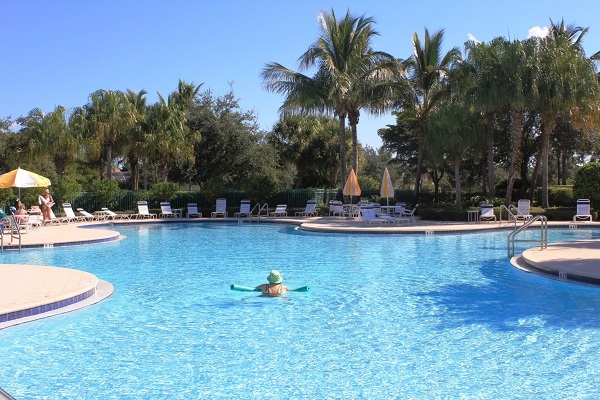 Amenities include a state-of-the-art fitness center, large resort style pool, separate lap pool, spa, eight Har-Tru Tennis courts, bocce ball courts and putting green. Residents enjoy biking and jogging on the many paths and sidewalks that are all linked to the Town Center by pedestrian bridges. There is even a year around activities director to organize dances, events and trips for the entire community. If you are looking for a great community loaded with amenities, then you will definitely want to look at Island Walk. Island Walk is definitely Naples’ Living at the best.